It is easy to say that the Infinix Hot 5 Lite is the bare version of the Infinix Hot 5, as indicated by the nickname "Lite". Infinix Hot 5 Lite shares most of its brother's features, but loses the fingerprint reader and comes with less RAM. Where to buy Infinix Hot 5 Lite? You can shop online at Jumia or go to any showroom to choose yours. One can not go wrong in stating that there is nothing extraordinary about the appearance of the Infinix Hot 5 Lite. It's right there, more or less. But a textured back looks good and should make the device less slippery. There is always a 5.5-inch screen in front. This is becoming increasingly the norm these days. The mobile phone offers a resolution of 720 x 1280 pixels. Here you can expect a correct wide-angle view since the Infinix Hot 5 Lite uses an IPS panel. Nothing changes from the affordable 5 Hot in the camera department. There is an 8-megapixel shooter on the back and a 5-megapixel snapper on the front. Both promise to offer a decent quality, especially with its compatibility with the LED flash. Like its brother, the Infinix Hot 5 Lite comes with 16 GB of storage space. You can also expand storage with a microSD card. Under the hood, the Infinix Hot 5 Lite carries a quad-core MediaTek processor like the Hot 5. The performance difference will have to do with RAM. The Hot 5 Lite offers only 1 GB, compared to the 2 GB of the other. It runs on Infinix's own XOS 2.2, a customized version of Android 7.0 Nougat. You get a high-capacity 4000 mAh battery that promises to keep things running for hours on a single charge. It is said that this beast offers up to 35 hours of talk time! In addition, there is a fast charging technology that gives you hours of conversation in just 5 minutes of charging. 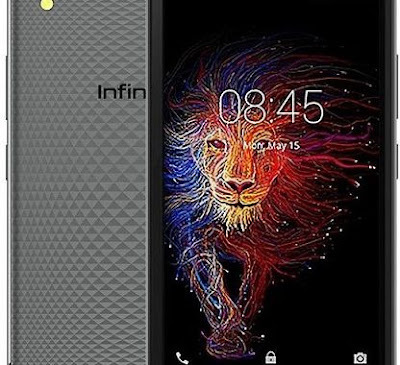 But the fingerprint scanner on the back of the Hot 5 and most other Infinix phones is missing here. And like the other device, the Infinix Hot 5 Lite is not compatible with 4G LTE. It offers 3G support and other regular wireless connectivity options, such as Bluetooth and Wi-Fi. Infinix Hot 5 Lite is now available in Nigeria, Kenya, and Ghana. You can buy the affordable Android phone in the main online stores of the countries. The price of Infinix Hot 5 Lite in Nigeria ranges from 31,500 Naira to 40,000 Naira, depending on your position in the country. The price of Infinix Hot 5 Lite in Kenya starts at 8,499 KSh, while the price in Ghana starts at 419 GH ₵.